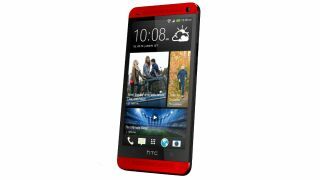 Just when you thought the HTC One couldn't get any better, it'll now be arriving with a fetching new red outfit, just for UK customers. The Taiwanese firm has knocked up an exclusive "Glamour Red" model of the 4.7-inch phone that will be available exclusively at Phones4U. You'll be able to pick up the stylish new shade from "mid-July", though an exact date is yet to be confirmed. You'll be able to pre-order the new handset over on the Phones4U site. Other than the new hue, the specs remain the same - 4.7-inch 1080p screen, quad-core processor, front BoomSound speakers and all the rest. We already had an idea that the red version was on its way, after it made an accidental early appearance on Handtec last month.